Time for a little Whiskey! ← Deschutes 2011 Abyss: Don’t Fear the Wonders Within. Nice, Don. Nothing wrong with a little Tuesday night Molly Hatchet. This is just a guess, but something tells me that Jim had no part in picking this song. Something tells me you are correct BBQ. Gotta love the Hatchet! You’re welcome Dean. I know we have a couple people from FL that drop by the blog every now an then, so this one is for them…and you too. Any particular whisky inspire the selection this evening? I picked up a bottle of the 20 a little while back and I’m not sure I fully understand bourbon. Fred loved it, I’m not sure of Rob’s impression, but I found it a little one dimensional and hotter than I’d think a 20 year old whiskEy should be. Maybe I should stick to what I know. Try the 15. I’ve not had the 20, but many people say that the 15 is the best. The 20 and 23 can get quite woody, and as you say hot. The 15 however has a lot of nice complexity and while it is definitely big, it isn’t hot. 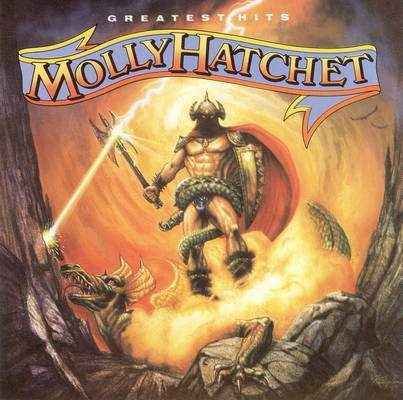 I friggin love Molly Hatchet. I’ve seen them in concert twice John, back in the late 70s. They were awesome. That was during their Flirtin’ with Disaster Tour. I even bought the Tee shirt. Jim probably remembers it. The Tee shirt that is. Sadly current You Tube video shows just how old and fat they have gotten. Heres a clue to the guys in MH, when you have a receding Hair Line, length doesn’t make up for that! But a pony tail apparently does (LOL)! Actually what one has to do in that circumstance is grow a beard–it draws one’s attention away from the chrome dome.